Windows Media Center — a Microsoft success story? On September 3rd, Microsoft will celebrate the five year anniversary of Windows Media Center, arguably one of the company’s more successful products. Windows XP Media Center Edition was released to manufacturers in the United States and Canada in 2002, and Microsoft has followed up with a number of releases since then, most recently as part of Windows Vista. The software is at the core of Microsoft’s digital media strategy and looks to have a bright future ahead. In this post we’ll take a look at what Windows Media Center is, the levels of success it has achieved thus far, and finally we’ll touch on where Microsoft might take the product in the next few years. What is Windows Media Center? Though commonly referred to as an operating system, Windows Media Center is really an application built on top of Windows XP and Windows Vista. It acts as a central access point for home entertainment, providing a specialized interface for browsing and organizing photos, watching television and movies, and listening to music. Windows Media Center also makes it possible to stream media around the house via your home network to devices called Windows Media Center Extenders, like the Xbox 360. Computers running Windows Media Center can be controlled by a remote which usually features what has become known as The Green Button. Media Center PCs support TV tuner cards which allow you to record and schedule television shows which you can then burn to DVD, copy to portable devices, or stream to Extenders. They typically include RCA type cable inputs and outputs which make it easy to connect with your home speaker system. Playback of FM radio stations is also supported by Windows Media Center. Take a look at Paul Thurrott’s excellent reviews for a closer look at Media Center’s features in Windows XP Media Center Edition 2005 and Windows Vista. Why use Windows Media Center? Millions of people use Media Center PCs every day, in dozens of interesting ways. Back in 2004, Windows eHome Division General Manager Joe Belfiore noted that 27% of Media Center buyers used the machines in their living rooms, 23% used them in bedrooms, and almost 50% used them in dens, studies, or home offices. Some people use their Media Center PC primarily as an everyday computer, others use it strictly as a home entertainment device. One of the key advantages to purchasing a Media Center PC is that you’ve got a full-blown computer underneath the attractive interface. Thanks to Media Center Extenders, you can leave the computer in your office for use as a normal PC, but also as a place to store digital media that you interact with in the living room. Even if you don’t plan on using the Media Center functionality of a new computer right away, it’s not a bad idea to have the capability there anyway. That’s probably one of the main reasons that Windows Media Center has become so successful in recent years — it just makes sense to have a computer that can interact really well with all of the new media devices and services that keep appearing. Has it really been that successful? The answer to this question is a resounding yes. Admittedly, it didn’t happen overnight, but in more recent times, Windows Media Center has shown impressive sales growth with each passing year. The break out year was 2005, specifically in the summer, when Media Center PCs accounted for 43% of all personal desktop computers sold in the United States. By December 2005, Media Center PCs made up more than 40% of all Windows sales, and by about March 2006 the US-sales percentage had grown to 59%. Impressive growth, to say the least. What’s next for Windows Media Center? With the exception of 2006, Microsoft has released a new version of Media Center every year since launch. 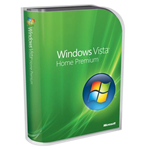 The release of Windows Vista in January marked a change in naming for the product, with the “Media Center Edition” moniker being replaced by “Home Premium Edition”. The Media Center functionality is also available in Windows Vista Ultimate. It was also the first synchronized release of Windows Media Center and a major version of Windows. The next version of Windows Media Center is reportedly called “Fiji” and will likely be released sometime after Vista SP1, meaning the product will return to an “out of band” release strategy. Rumored features include DirecTV support, HD-DVD playback, and improved support for CableCARD. In June the news broke that Fiji has already been delayed, so don’t expect to see the update until late next year. Windows Media Center can now be considered a fairly mature product. That means development is no longer being driven solely by Microsoft. A few weeks ago an update for the Windows Media Center SDK was released with a focus on making it easier to get started developing applications for Media Center. More and more we’ll start to see some interesting third party applications building upon the solid base that Microsoft has provided. Just look at Showtime Interactive from CBS-owned Showtime Networks, for instance. Then there’s the rest of Microsoft’s digital entertainment initiatives as we mentioned back in July. The technology that the Windows Media Center team has developed over the last five years will play a vital part in helping Microsoft’s digital media efforts over the next five years. Windows Media Connect and Windows Media Center Extenders are just two of these key technologies. If you’re one of the millions of Windows Media Center owners, take a moment on September 3rd to say happy birthday to one of Microsoft’s more exciting products. Windows Media Center has had an impressive five years, especially recently, and the product’s future looks brighter than ever. Mack this is a nice writeup on the history of Windows Media Center — on behalf of the entire eHome team here at Microsoft allow me to say ‘Thanks!’ for wishing us a Happy Birthday. Thanks for reading! It was a fun article to write! I’m typing this on a Dell that’s running Windows Media Center. WMC was the same price as XP, so I got it – why not. I don’t use the WMC features at all. How much of the “huge success” is based on sales like this? I’m not sure I can agree with the premise of this article. I don’t know anyone who uses a Windows Media Center as a WMC. Rather, it seems most people who have WMC have it because it came at a slightly lower price on their computer than XP Home or Professional. This is especially true of those with Dell computers. I see what you’re saying. It’s true that Microsoft has done some clever marketing to get the numbers I have mentioned (clever depends on your point-of-view I guess). That said though, I think the key thing is that over 50 million people now have media center functionality in their homes. What would the world look like if everyone had such functionality? I bet we wouldn’t be writing about it anymore – it would just seem natural. So if WMC having some success means that media center functionality in general becomes more accepted and understood, then I’m all for that! @David, fair point. But the wider picture is that WMC is out there on millions of machines. Like you say, how many are actually using the functionality, is a valid question. those numbers are a big fat illusion. Because a lot of people buy media center pcs does not mean they use the media center part. Microsoft gets big numbers by default. Most feel they have to use Microsoft products, if they are tech challenged they’re options are limited. I applaud the EU for forcing MS to disable the windows media player, although I don’t have the facts. As usual, MS will just wait it out in court with an army of lawyers, until the opposition is out of money. Predator business practices, they flat don’t like to play well with others. What I’d like to see is numbers on how many PCs have iTunes installed? I’m guessing that number is high too, and that PC users that have it like it BETTER. The success of the apple music store tells the tail of what PC users think! I'm not sure I can agree with the premise of this article. I don't know anyone who uses a Windows Media Center as a WMC. Rather, it seems most people who have WMC have it because it came at a slightly lower price on their computer than XP Home or Professional. This is especially true of those with Dell computers.